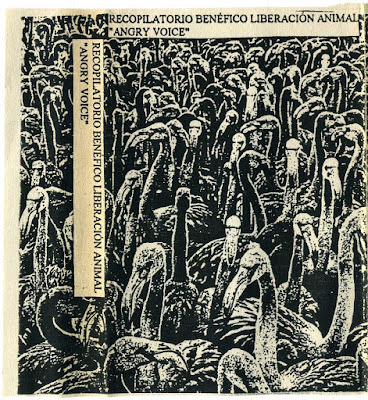 This tape is a great international compilation featuring various bands playing Sludge, HC Punk and somehow heavy riffs with screamed angry vocals. 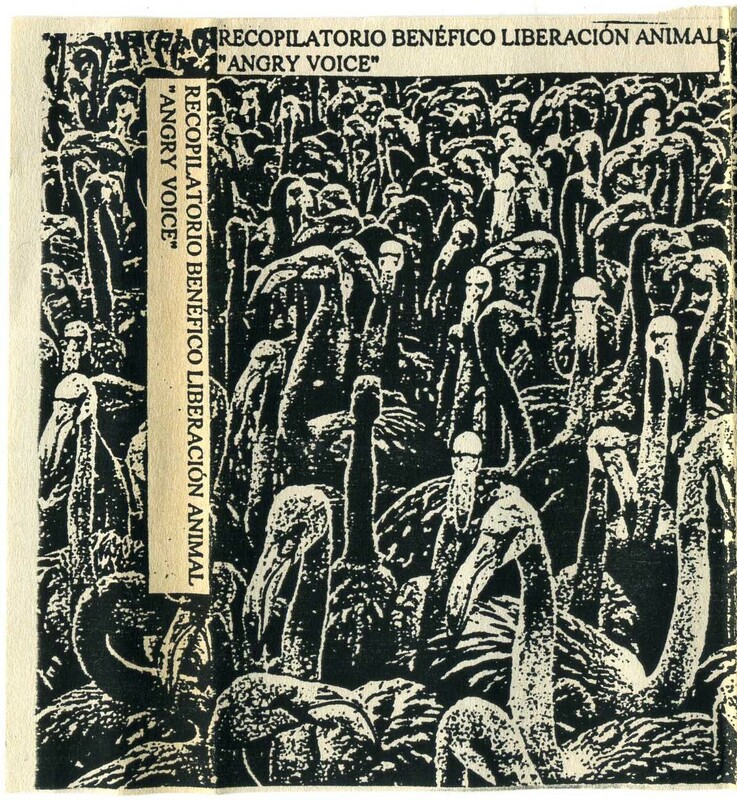 It was a benefit for an animal rights organisation as the name in Spanish states. 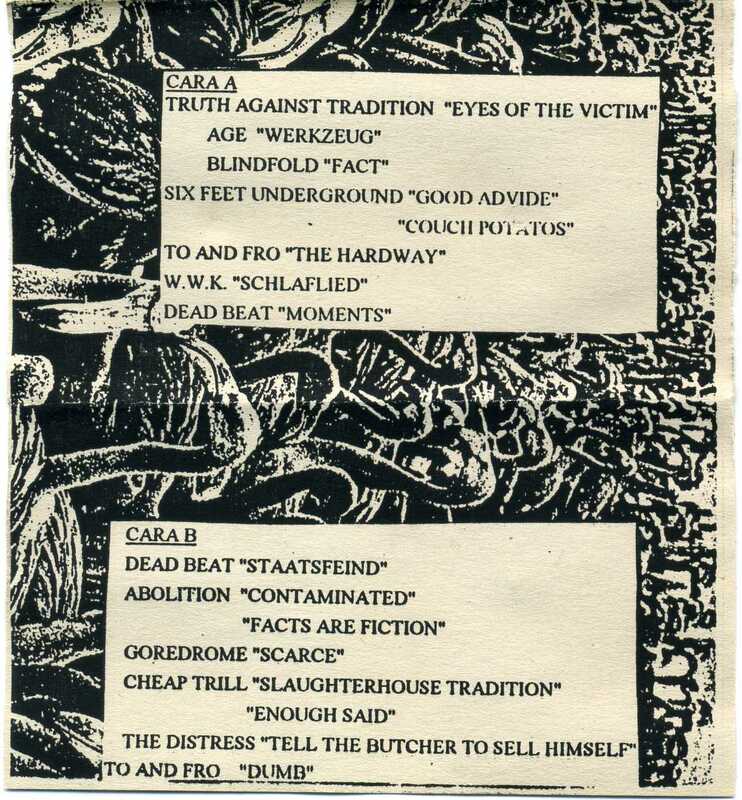 I am sure it came out with a booklet explaining the benefit and giving us info about those good bands, unfortunately I`ve lost the booklet, therefore, I have very little clues about this production and those bands, any soul out there with more info about this great cassette??? I `d love to know more.